It’s time to meet the new maestro. 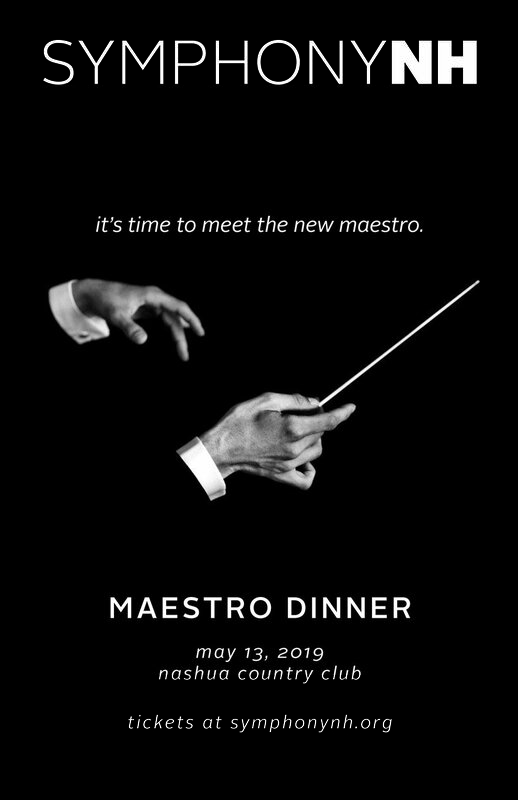 You are invited to attend Symphony NH’s annual Maestro Dinner on May 13, 2019 where we will unveil the new Symphony NH Music Director and the official 2019-2020 season program. Join us to enjoy delicious food and drinks, celebrate the end of a fabulous 95th season, and toast to the beginning of a new era for New Hampshire’s premiere symphony orchestra. Who will the new Music Director be? We have selected nine finalists, each of whom has been invited to conduct the orchestra for at least one concert before May 2019. These candidates have performed worldwide and received critical acclaim from the LA Times, Boston Globe, Chicago Tribune, and more. To learn more about each candidate, click here. To find out which candidates are performing next, check out our events page.